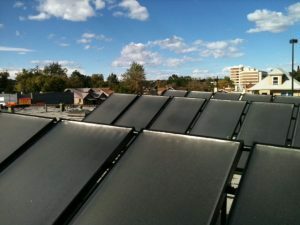 $494,000 of committed funding for solar panels on new building projects. two new LEED-certified buildings, including the planned Denver Public Library. The BID has installed solar pedestrian lights and artwork as shown, as well as solar-powered irrigation. 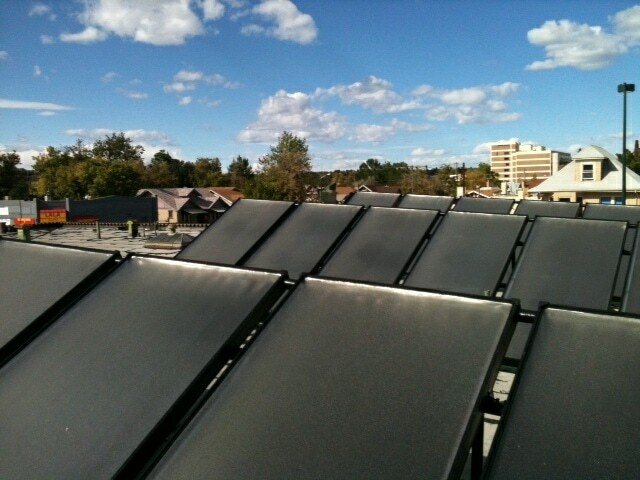 The Lake Steam Baths at 3450 W Colfax recently completed installing a solar thermal array, with financing and contracting assistance from the BID. Between the financing and savings on its gas bill, the Steam Baths will save $500 per month, and reduce annual carbon emissions by 16.1 metric tons, equivalent to taking 3 cars off the road. 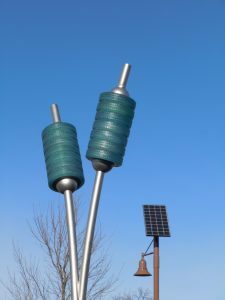 The owner Hannon Hymen calls the system “awesome” and is excited to be “going green”.